This article is about the audio format. For other uses, see Extended play (disambiguation). An extended play record, often referred to as an EP, is a musical recording that contains more tracks than a single, but is usually unqualified as an album or LP. Contemporary EPs generally contain a minimum of three tracks and maximum of six tracks, and are considered "less expensive and time-consuming" for an artist to produce than an album. An EP originally referred to specific types of vinyl records other than 78 rpm standard play (SP) and LP, but it is now applied to mid-length CDs and downloads as well. Ricardo Baca of The Denver Post said, "EPs—originally extended-play 'single' releases that are shorter than traditional albums—have long been popular with punk and indie bands." In the United Kingdom, the Official Chart Company defines a boundary between EP and album classification at 25 minutes of maximum length and no more than four tracks (not counting alternative versions of featured songs, if present). EPs were released in various sizes in different eras. The earliest multi-track records, issued around 1919 by Grey Gull Records, were vertically cut 78 rpm discs known as "2-in-1" records. These had finer than usual grooves, like Edison Disc Records. By 1949, when the 45 rpm single and 33​1⁄3 rpm LP were competing formats, seven-inch 45 rpm singles had a maximum playing time of only about four minutes per side. Partly as an attempt to compete with the LP introduced in 1948 by rival Columbia, RCA Victor introduced "Extended Play" 45s during 1952. Their narrower grooves, achieved by lowering the cutting levels and sound compression optionally, enabled them to hold up to 7.5 minutes per side—but still be played by a standard 45 rpm phonograph. These were usually 10-inch LPs (released until the mid-1950s) split onto two seven-inch EPs or 12-inch LPs split onto three seven-inch EPs, either sold separately or together in gatefold covers. This practice became much less common with the advent of triple-speed-available phonographs. Some classical music albums released at the beginning of the LP era were also distributed as EP albums—notably, the seven operas that Arturo Toscanini conducted on radio between 1944 and 1954. These opera EPs, originally broadcast on the NBC Radio network and manufactured by RCA, which owned the NBC network then, were made available both in 45 rpm and 33​1⁄3 rpm. In the 1990s, they began appearing on compact discs. RCA also had success in the format with their top money earner, Elvis Presley, issuing 28 Elvis EPs between 1956 and 1967, many of which topped the separate Billboard EP chart during its brief existence. During the 1950s, RCA published several EP albums of Walt Disney movies, containing both the story and the songs. These usually featured the original casts of actors and actresses. Each album contained two seven-inch records, plus a fully illustrated booklet containing the text of the recording so that children could follow along by reading. Some of the titles included Snow White and the Seven Dwarfs (1937), Pinocchio (1940), and what was then a recent release, the movie version of 20,000 Leagues Under the Sea that was presented in 1954. The recording and publishing of 20,000 was unusual: it did not employ the movie's cast, and years later, a 12 in 33⅓ rpm album, with a nearly identical script, but another different cast, was sold by Disneyland Records in conjunction with the re-release of the movie in 1963. Because of the popularity of 7" and other formats, SP (78 rpm, 10") records became less popular and the production of SPs in Japan was suspended in 1963. In the 1950s and 1960s, EPs were usually compilations of singles or album samplers and were typically played at 45 rpm on seven-inch (18 cm) discs, with two songs on each side. 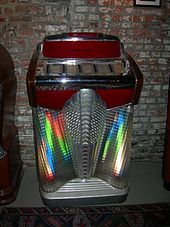 Other than those published by RCA, EPs were relatively uncommon in the United States and Canada, but they were widely sold in the United Kingdom, and in some other European countries, during the 1950s and 1960s. Record Retailer printed the first EP chart in 1960. The New Musical Express (NME), Melody Maker, Disc and Music Echo and the Record Mirror continued to list EPs on their respective singles charts. The Beatles' Twist and Shout outsold most singles for some weeks in 1963. When the BBC and Record Retailer commissioned the British Market Research Bureau (BMRB) to compile a chart it was restricted to singles and EPs disappeared from the listings. In the Philippines, seven-inch EPs marketed as "mini-LPs" (but distinctly different from the mini-LPs of the 1980s) were introduced in 1970, with tracks selected from an album and packaging resembling the album they were taken from. 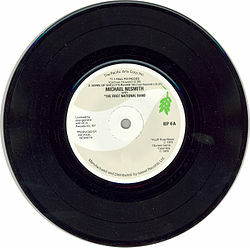 This mini-LP format also became popular in America in the early 1970s for promotional releases, and also for use in jukeboxes. Stevie Wonder included a bonus four-song EP with his double LP Songs in the Key of Life in 1976. During the 1970s and 1980s, there was less standardization and EPs were made on seven-inch (18 cm), 10-inch (25 cm) or 12-inch (30 cm) discs running either 33​1⁄3 or 45 rpm. Some novelty EPs used odd shapes and colors, and a few of them were picture discs. Alice in Chains was the first band to ever have an EP reach number one on the Billboard album chart. Its EP, Jar of Flies, was released on January 25, 1994. In 2004, Linkin Park and Jay-Z's collaboration EP, Collision Course, was the next to reach the number one spot after Alice in Chains. In 2010, the cast of the television series Glee became the first artist to have two EPs reach number one, with Glee: The Music, The Power of Madonna on the week of May 8, 2010, and Glee: The Music, Journey to Regionals on the week of June 26, 2010. In 2010, Warner Bros. Records revived the format with their "Six-Pak" offering of six songs on a compact disc. The first EPs were seven-inch vinyl records with more tracks than a normal single (typically five to nine of them). Although they shared size and speed with singles, they were a recognizably different format than the seven-inch single. Although they could be named after a lead track, they were generally given a different title. Examples include The Beatles' The Beatles' Hits EP from 1963, and The Troggs' Troggs Tops EP from 1966, both of which collected previously released tracks. The playing time was generally between 10 and 15 minutes. They also came in cardboard picture sleeves at a time when singles were usually issued in paper company sleeves. EPs tended to be album samplers or collections of singles. EPs of all original material began to appear in the 1950s. Examples are Elvis Presley's Love Me Tender from 1956 and "Just for You", "Peace in the Valley" and "Jailhouse Rock" from 1957, and The Kinks' Kinksize Session from 1964. Twelve-inch EPs were similar, but generally had between three and five tracks and a length of over 12 minutes. Like seven-inch EPs, these were given titles. EP releases were also issued in cassette and 10-inch vinyl formats. With the advent of the compact disc (CD), more music was often included on "single" releases, with four or five tracks being common, and playing times of up to 25 minutes. These extended-length singles became known as maxi singles and while commensurate in length to an EP were distinguished by being designed to feature a single song, with the remaining songs considered B-sides, whereas an EP was designed not to feature a single song, instead resembling a mini album. EPs of original material regained popularity in the punk rock era, when they were commonly used for the release of new material, e.g. Buzzcocks' Spiral Scratch EP. These featured four-track seven-inch singles played at 33​1⁄3 rpm, the most common understanding of the term EP. Beginning in the 1980s, many so-called "singles" have been sold in formats with more than two tracks. Because of this, the definition of an EP is not determined only by the number of tracks or the playing time; an EP is typically seen[by whom?] as four (or more) tracks of equal importance, as opposed to a four-track single with an obvious A-side and three B-sides. In the United States, the Recording Industry Association of America, the organization that declares releases "gold" or "platinum" based on numbers of sales, defines an EP as containing three to five songs or under 30 minutes. On the other hand, The Recording Academy's rules for Grammy Awards state that any release with five or more different songs and a running time of over 15 minutes is considered an album, with no mention of EPs. In the United Kingdom, any record with more than four distinct tracks or with a playing time of more than 25 minutes is classified as an album for sales-chart purposes. If priced as a single, they will not qualify for the main album chart but can appear in the separate Budget Albums chart. An intermediate format between EPs and full-length LPs is the mini-LP, which was a common album format in the 1980s. These generally contained 20–30 minutes of music and about seven tracks. In underground dance music, vinyl EPs have been a longstanding medium for releasing new material, e.g. Fourteenth Century Sky by The Dust Brothers. A double extended play is a name typically given to vinyl records or compact discs released as a set of two discs, each of which would normally qualify as an EP. The name is thus analogous to double album. As vinyl records, the most common format for the double EP, they consist of a pair of 7" discs recorded at 45 or 33​1⁄3 rpm, or two 12" discs recorded at 45 rpm. The format is useful when an album's worth of material is being pressed by a small plant geared for the production of singles rather than albums and may have novelty value which can be turned to advantage for publicity purposes. Double EPs are rare, since the amount of material recordable on a double EP could usually be more economically and sensibly recorded on a single vinyl LP. In the 1950s, Capitol Records had released a number of double EPs by its more popular artists, including Les Paul. The pair of double EPs (EBF 1-577, sides 1 to 8!) were described on the original covers as "parts... of a four-part album". In 1960, Joe Meek's I Hear a New World double EP was released in 1960 and has since become a collector's item. Probably the most well-known double EP is The Beatles' Magical Mystery Tour, released as a double 7" EP in the United Kingdom eleven days after the long-playing version, which became the standard for compact disc reissue, was released in the United States. The Style Council album The Cost of Loving was originally issued as two 12" EPs. It is becoming more common to release two 12" 45s rather than a single 12" LP. Though there are 11 songs that total about 40 minutes, enough for one LP, the songs are spread across two 12" 45 rpm discs. Also, the vinyl pressing of Hail to the Thief by Radiohead uses this practice but is considered to be a full-length album. In 1982 Cabaret Voltaire released their studio album "2x45" on the UK-based label Rough Trade, featuring extended tracks over four sides of two 12" 45 rpm discs, with graphics by artist Neville Brody. The band subsequently released a further album in this format, 1985's "Drinking Gasoline", on the Virgin Records label. There are a limited number of double EPs which serve other purposes,[which?] however. An example of this is the Dunedin Double EP, which contains tracks by four different bands. Using a double EP in this instance allowed each band to have its tracks occupying a different side. In addition, the groove on the physical record could be wider and thus allow for a louder album. In the 1960s and 1970s, record companies released EP versions of long-play (LP) albums for use in jukeboxes. These were commonly known as "compact 33s" or "little LPs". It was played at 33​1⁄3 rpm, was pressed on seven-inch vinyl and frequently had as many as six songs. What made them EP-like was that some songs were omitted for time purposes, and the tracks deemed the most popular were left on. Unlike most EPs before them, and most seven-inch vinyl in general (pre-1970s), these were issued in stereo. ^ a b Austin, Chris; Blyth, Lucy (March 2015). "Rules for Chart Eligibility – Singles" (PDF). Official Charts Company. Retrieved March 21, 2017. ^ a b c Austin, Chris; Blyth, Lucy (March 2015). "Rules for Chart Eligibility – Albums" (PDF). Official Charts Company. Retrieved March 21, 2017. ^ a b Fuhr, Michael (2015). Globalization and Popular Music in South Korea: Sounding Out K-Pop. Routledge. ISBN 9781317556909. Retrieved March 21, 2017. Mini-albums and EPs are shorter than full-length albums and usually contain four or five songs [...] They are less expensive and time-consuming in production than albums, and they help to popularize new groups who otherwise lack the number of songs required for a full-length album. ^ "What Does EP Stand for in Music?". Retrieved July 10, 2018. Four tracks if you’re going to be generous with it to use as a promotional EP and six if you want to make some dough off it. ^ Maes, Jan; Vercammen, Marc (2001). Digital Audio Technology: A Guide to CD, MiniDisc, SACD, DVD(A), MP3 and DAT (4th ed.). Focal Press. p. 2. ISBN 9780240516547. Retrieved June 20, 2014. ^ Baca, Ricardo (January 4, 2010). "As albums fade away, music industry looks to shorter records". The Denver Post. Chattanooga Times Free Press. Retrieved July 21, 2010. ^ "A brief description of the Japanese recording industry 2000" (PDF). Recording Industry Association of Japan. Archived from the original (PDF) on 27 July 2004. ^ レコード産業界の歴史 1960年～1969年 [The History of The Record Industry 1960–1969] (in Japanese). Recording Industry Association of Japan. Retrieved July 23, 2010. ^ a b c d e f g h i j Strong, Martin C. (2002). The Great Rock Discography (6th ed.). Canongate. ISBN 978-1-84195-312-0. ^ Shuker, Roy (2005). "Singles; EPs". Popular Music: The Key Concepts. Routledge. p. 246. ISBN 978-0-415-34770-9. Retrieved June 20, 2014. ^ Salazar, Oskar (June 13, 1970). "Philippines Gets First Mini-LP". Billboard: 80–81. ^ "7-in. LP Growing Concept". Billboard: 39. March 25, 1972. ^ Price, Deborah Evans (February 3, 2010). "Another Body Blow For Albums: Warner To Launch New Six-Pak Format". Billboard. Retrieved February 3, 2010. ^ "About the Awards – RIAA". Recording Industry Association of America. ^ "Awards Process Updates". The Recording Academy. July 8, 2015.